Get away from it all. Far away. Leave the world behind and find your sweet spot in Crawford Bay in the beautiful West Kootenays. Kokanee Springs Golf Resort has been serving up the perfect blend of rugged beauty and endless fairways with simple charm and warm, friendly service since 1968. Find out why so many are drawn back time and time again to this home away from home. Get away, unplug, unwind with friends and enjoy the game. It's just spectacular golf in a stunning, secluded setting. We are thrilled to announce our new partnership with Sportsnet 960 The Fan through sponsorship of its acclaimed morning show Boomer & Warrener in the Morning - Canada's top sports radio morning show for more than 5 years. Tune in live in Calgary or online as Dean "Boomer" Molberg and the always-hilarious former NHL player Rhett Warrener, along with third wheel Peter Klein introduce a new generation of golfers to the legendary Kokanee Springs Golf trip that has inspired connection, camaraderie and unforgettable memories for the last 50 years. From lodge studios to one and two-bedroom villas and private cottages, enjoy tastefully appointed course-side accommodation to suit a variety of needs. Our aim is to provide the maximum in comfort and relaxation during your golf resort vacation. Kokanee Springs is considered Norman Woods' golf course masterpiece. 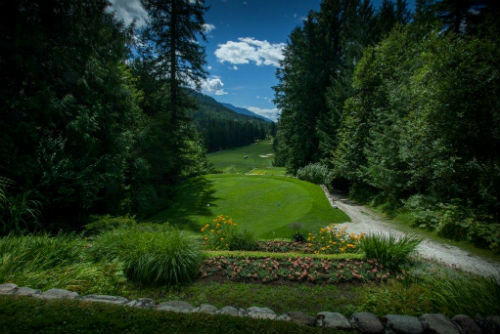 Carved from the wilderness and situated along the base of the Purcell Mountain range, Kokanee Springs has been regarded as the flagship of golf courses in the Kootenays. Don't miss out. Receive Kokanee Springs news and special offers direct to your inbox.